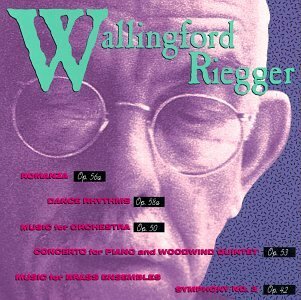 Wallingford Riegger (1885-1961) is an all but forgotten name among American 20th-Century music, and it is as lamentable as it is unfair. A member, in the 1930s, of the so-called “American Five”, which included Ives, Cowell, Ruggles and the even more (unjustly) obscure John J. Becker, he was, among other styles, one of the introducers in the United States, before Sessions, Babbitt or Perle, of Schoenberg’s twelve-tone system. But Riegger was an ecclectic, and he himself classified his own music in four categories: “non-dissonant (mostly)”, “impressionist”, “partly dissonant” and “dissonant”. Add that he spent a long while, in the 1930s, writing dance music for various ballet companies, including Martha Graham’s. After the premiere of his Third Symphony in 1948, he enjoyed a modicum of recognition in the 1950s – witness the Naumburg Foundation grant to record it under Howard Hanson, and the commissions and recordings he got from the Louisville Orchestra. That Riegger was once taken very seriously is attested by the long essay (11 pages!) published in HiFi /Stereo Review of April 1968 (link will open .pdf in new tab), part of their “Great American Composers” Series. Yes, that’s how he was still viewed. 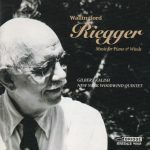 But, some years after his death, Riegger lapsed in oblivion: only a paltry amount of his works can be found these days on CD, and, for the major ones, in antiquated recordings (see the CRI and Louisville reissues). That Study in Sonority, a piece as daring as anything written by Ives or Varèse, should not be available in any form, CD or download, in a time when even the most obscure corners of every repertoire are represented, is as disheartening as it is infuriating. Of Riegger’s catalog of circa 75 opuses, hardly more than 20 are available, oftentimes in less-than-adequate reissues from the older days, and some of the major works (other than Study in Sonority, the two string quartets, the Piano Quintet, the two first symphonies and Dichotomy also come to mind) are not represented. This is, in part, because his music his too difficult to pigeonhole – Riegger the composer of Coplandesque “Dance Rhythms”, “New Dance” and other “Frenetic Dance” music? Riegger the American romantic? Riegger the follower of Schoenberg? Another reason is that the atonal, serial Riegger, like Schoenberg, isn’t immediately seductive, while the Romantic Riegger sounds rather trite. The broadcast of the concert premiere of his late and very romantic Sinfonietta op. 73 is on YouTube (link will open new tab) – many thanks to whoever posted this invaluable document – and… well… the serial Riegger was a way more interesting composer. 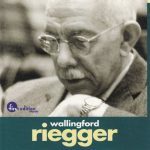 In fact, the serious, contrapuntal and fugal and freely serial Riegger is an enormously interesting and, when you go beneath the surface of immediate appeal, seductive composer. I found a few scores in recent years – the Third Symphony, Music for Orchestra op. 50, Variations for Violin and Orchestra op. 71, Concerto for Piano and Woodwind Quintet among others – and looking at the fabric of these works has hugely enhanced my already intrigued interest in the music. Beyond the Schoenbergisms or, in the perky woodwind music, the similarities with Nielsen or Janacek, it has given me occasion to marvel at Riegger’s unflagging and brilliant compositional imagination. The Third Symphony is a hugely powerful work that, in the 1940s and even if you add a decade at both ends, had little equivalent in American symphonies. His orchestration and the way he varies his theme in the 1959 Variations for Violin and Orchestra are incredibly imaginative and offer unexpected twists at every turn. Also, the Coplandesque composer of boisterous and syncopated dance music should be way more popular than he is nowadays. “New Dance” is not profound music, but it is hugely exciting and an easy clap-arouser. Riegger’s obscurity today is lamentable and one of the great injustices of American music. When does a fully-fledged rediscovery take place? Before my death or after? Here are the few reviews that I’ve transfered so far. There are a few others, but part of multiple-composers collections, which I’ll take care of later. Music for Piano & Winds: Concerto for Piano & Woodwind Quintet op. 53, Four Tone Pictures for piano, Duos for Three Woodwinds op. 35, The New and Old for piano, Three Canons for Woodwinds op. 9, Petite Etude for piano, Wind Quintet op. 51). 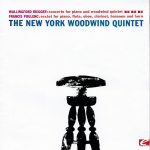 Gilbert Kalish, New York Woodwind Quintet. Bridge 9068 (1996). Great introduction to Riegger’s piano and chamber music, one of the CDs to have in one’s collection, absolutely. There aren’t many out there. Romanza op. 56a (1953): Orchestra of the Accademia Nazionale di Santa Cecilia, Rome, Alfredo Antonini. Dance Rhythms op. 58a (1955); Music for Orchestra op. 50 (1953): The Oslo Philharmonic Orchestra, Alfredo Antonini. Concerto for Piano and Woodwind Quintet op. 53 (1953): Harriet Wingreen, New Art Wind Quintet. Music for Brass Choir op. 45 (1949); Movement for Two Trumpets, Trombone and Piano op. 66 (1960); Nonet for Brass op. 49 (1951): Members of the Alumni of the National Orchestra Association and The American Brass Quintet, dir. John Barnett. Symphony No. 3 op. 42 (1948): Eastman-Rochester Symphony Orchestra, Howard Hanson. CRI CD 572 (1990), reissue New World-CRI NWCR 572 (2007). A useful compendium of recordings ranging from 1952 (Symphony) to 1967 (the brass works). The sound of the older ones is what it is (e.g., old), and they cry for modern recordings with full stereo bloom… but there’s no other choice for the time being. Variations for Piano and Orchestra op. 54 (1953), Variations for Violin and Orchestra op. 71 (1960), Symphony No. 4 op. 63 (1956). Benjamin Owen (piano), Sidney Harth (violin), The Louisville Orchestra, Robert Whitney. First Edition Music FECD-0007 (2002). The two sets of Variations may sound stern on a first approach, but they reveal many beauties and compositional imagination on repeated hearing (following with score helps). The 4th symphony is also a great work, more eclectic and unpredictable. Sound and transfers aren’t state-of-the-art, but acceptable. And anyway, there’s no other choice.